Bethlehem is home to the Church of the Nativity, one of the most important holy sites in Christianity and one of the oldest churches in the world. See the Grotto of the Nativity with its large silver star in the floor; the star indicates the believed birthplace of Christ. Enter the Grotto of the Nativity, the church’s central point, through steps near the church altar and step into the rectangular grotto underneath the church. Take a look at the Door of Humility, which was constructed during the time of the Ottoman Empire to stop looters from bringing in carts. The nave has 44 columns, 30 of which have Crusader paintings depicting saints and the Virgin and the Child. The sides of the nave have parts of wall mosaics that date back to the 1660s. In the past, each side had three registers with the lowest one showing Jesus’ ancestors, the middle one decrees of provincial and ecumenical councils, and the top with several angels appearing along the windows. There are trap doors in the floor showing floor mosaics with patterns of birds, flowers and vines. The Milk Grotto has a special religious significance. Mary nursed Jesus while taking refuge before they went to Egypt during Herod’s Slaughter of the Innocents. The belief is that some drops of Mary’s milk fell and the rock became white. The grotto is made out of white rock. Christians and Muslims both believe the rock has healing capabilities, that it can increase the production of mother’s milk and increase fertility. 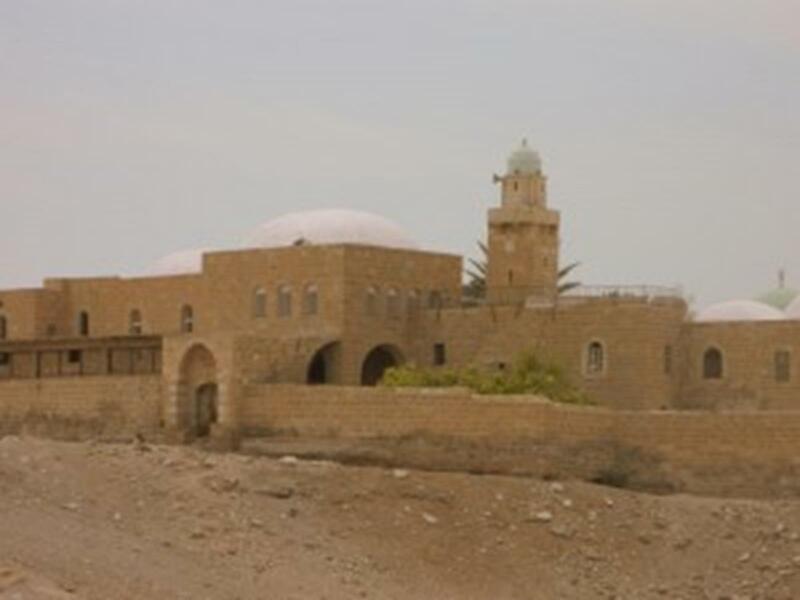 St. George’s Church – Al-Khader honors the soldier monk St. George, who slew a dragon and was revered for warding off the evil eye. Muslims and Christians come together May 5 to celebrate St. George, who is also the patron saint of farmers, travelers and the mentally ill. Popular belief has it that lunatics were once chained to a ring in the courtyard walls because under St. George’s intervention, they would be delivered from their insanity. The Mosque of Omar honors Omar Ibn al-Khattab, the second caliph, who was a companion of the Prophet Mohammed and his father-in-law. He came to Bethlehem and prayed in the Basilica of the Nativity, and gave his assurance in the Pact of Omar for the Basilica to stay as a Christian place of worship. Muslims could still pray individually, but al-Adan (calls for prayer) were forbidden from the church. In Beit Sahour, just east of Bethlehem, Shepherds Field is the location where the shepherds once saw the star of the nativity. 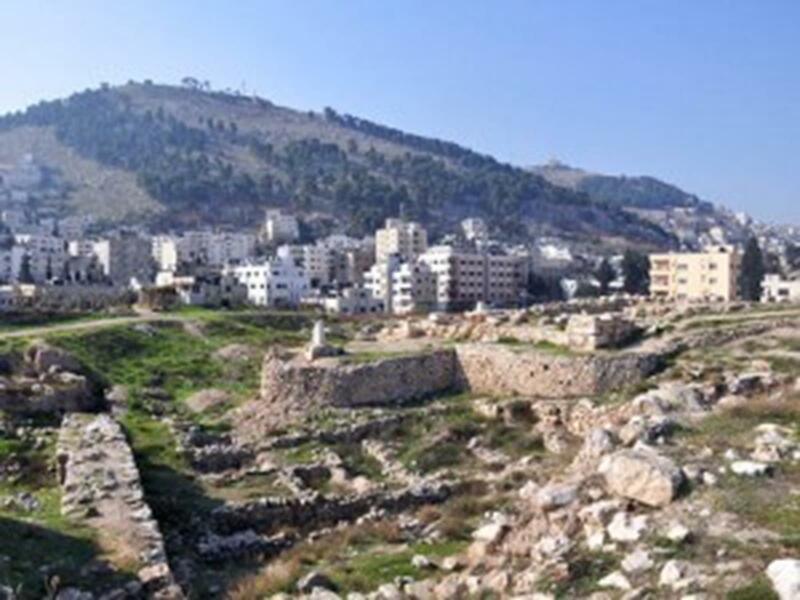 See the ruins of the Greek Orthodox site Kanisat al-Ruwat, particularly the cave that operated as a church during the fourth century and its still existent roof. Climb about 21 steps to get there and view the three apses that bear bits of mosaic and frescoes. 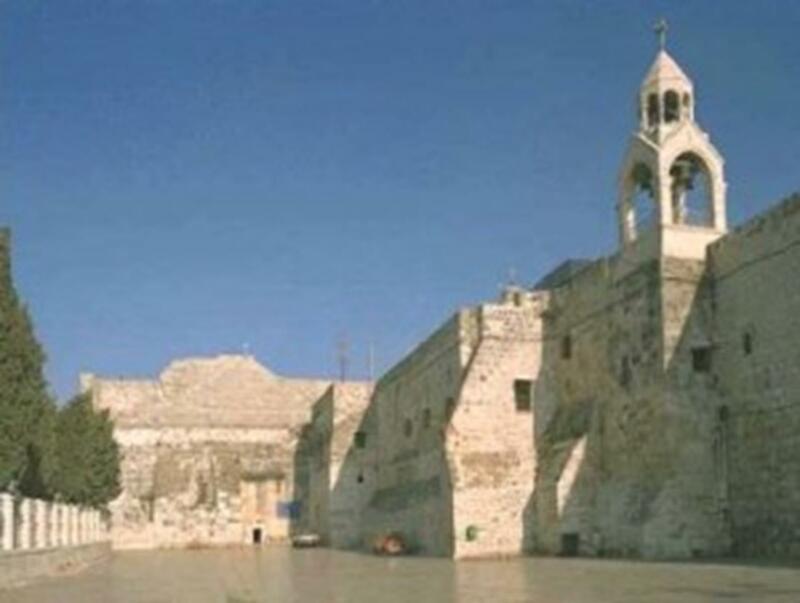 The church was used from the fifth century to 1955 and is known as the only fifth century church that has remained intact, outside of Jerusalem. Now a big church exists, the fourth century church has been restored, and the ruins of the upper church and monastery are maintained. According to local tradition, Nabi Mousa contains the grave of the prophet Moses, who is revered as a great prophet of Islam. Annual pilgrimage festivals have been conducted since the time of Salah Al Din, a Muslim leader known for liberating Jerusalem in the 12th century A.D. 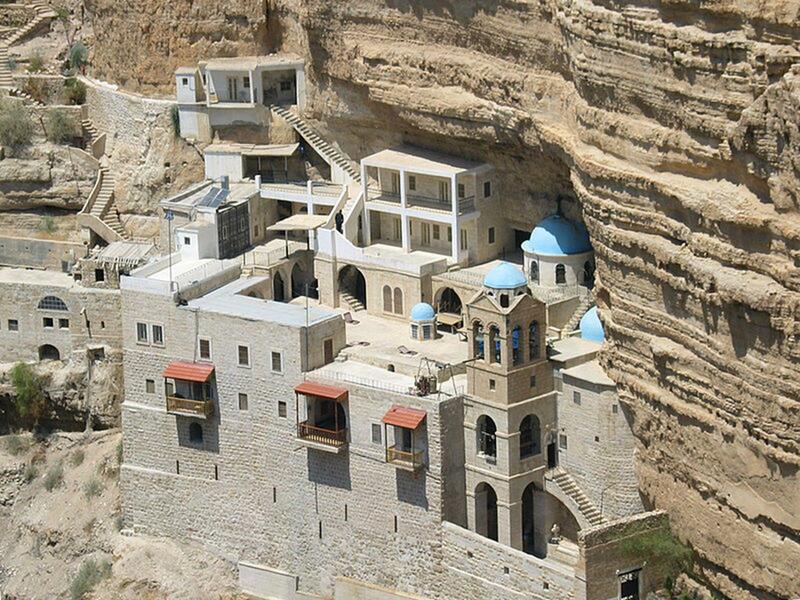 The Monastery of St. George, a Greek Orthodox monastery, is on the Wadi Qelt road in Kosiba. The monastery started as a small oratory and became a monastery in 480 CE. Today it has a large bell tower that was added in 1952. Ibrahimi Mosque is a large rectangular structure resembling a fortress. The main part of the structure was once a Crusader church. It is sacred to Christians, Muslims and Jews due to the burial of the patriarchs. Oak of Abraham – Moscoby Church has an oak tree that stands at the place where Abraham put up his tent. A Herodian enclosure with a well was found during excavations conducted from 1926-1928. In the past, pilgrims would peel pieces of the trunk to bring good luck, but today the trunk is protected by steel braces around it. The Russian Orthodox Church owns the site. Tel Balata (Shechem) was a great Canaanite city that was devastated and reconstructed over and over. Its ruins are on a hill 1,722 feet above sea level, nearly two miles east of Nablus. The site features one of the largest Canaanite temples, two monumental gates, city walls and a governor’s palace. Within the governor’s palace are a small temple, an assembly, guard rooms, a kitchen and living quarters. At Jacob’s Well, Jesus was offered a drink of water by the Samaritan woman. After returning from Mesopotamia, Jacob made the well for his children, his flock and himself. The well is within a Greek Orthodox monastery. 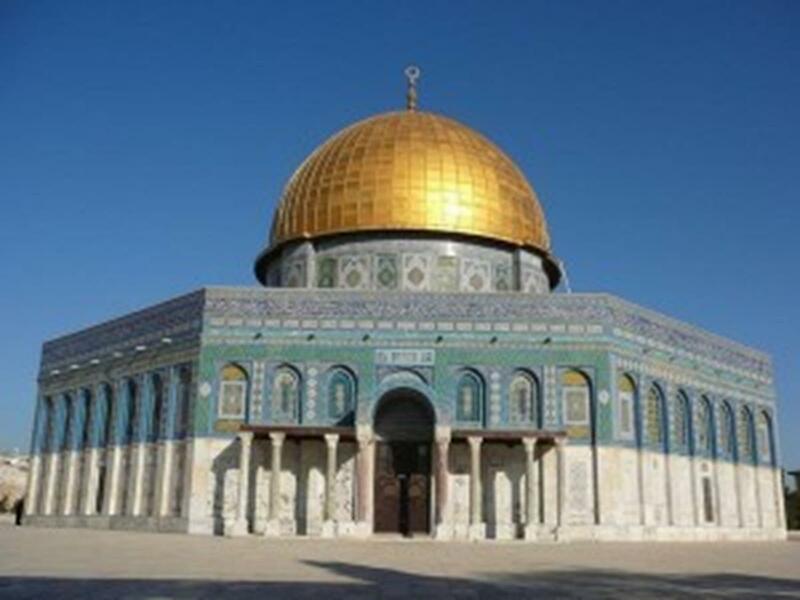 Palestine has rich culture, heritage and history to offer in addition to the abundance of religious travel sites. Although there are popular music festivals anyone can enjoy, we think your group deserves something a bit more enriching, a bit more rewarding and a bit more empowering.